It's not even 8am yet, but here I am sitting on my couch, wrapped in a blanket, and getting ready for another day of shelving at the library. It's not exactly exciting, but I am just glad that it is the end of the week. To get myself going on a day like today when I'm tired and simply want to do nothing, I try to find a song that get's me there. Today it's Mumm-ra's "She's Got You High". I first heard it on the soundtrack to 500 Days of Summer, which has become one of my favorites. I am just a bit obsessed, not only with the film, but Zooey Deschanel. After I saw the film I went and chopped my bangs into that 60's do that she has. Unfortunately, that look was not for me, so I am now in the awkward stages of growing my bangs out and it just looks funny. Miss Deschanel (who is soon to be Miss no more since she is marrying the frontman of Death Cab for Cutie) is an incomparable style icon who is finding her niche in Hollywood and sitting there quietly showing her talent and keeping out of the wreckage that so many starlets and "it" girls fall into. I have also come to love her as a musician. If you haven't heard the band She & Him, you must take a listen. The music is a strange mix of Dolly Parton, Patsy Cline, Doris Day, and other lovelies, but it is a combination that is full of surprises and beautiful sounds. Today's handpicked and handmade items are Zooey-inspired pieces that reflect her (and my own) love of vintage and simplicity. Ballet flats seem to be an in-thing, but my problem with flats is that I am short and flat shoes stunt me. I need some height to get me to stand tall, so these ballet pumps from Avant Anthologue are perfect. 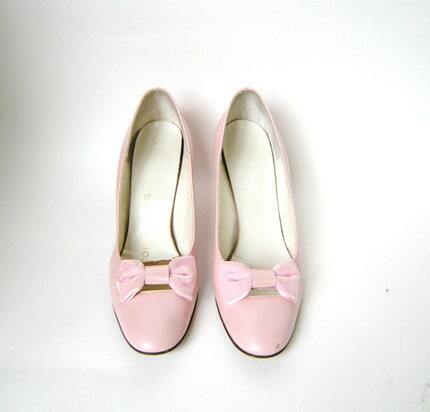 A bit of faux-leather with a velvet bow makes these shoes chic and oh-so Zooey. It is amusing when someone says that something looks too "old-fashioned" but then sees it on someone who can pull it off and the piece becomes a modern beauty. 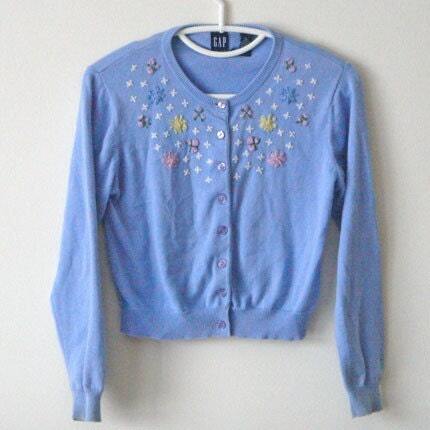 This is one cardigan that my grandmother likely would wear, but I could also wear in an entirely different way and put a new spin on it. Fashion that can span several age groups is lasting and classic, so you can be sure that it will never go out of style. Old School Cool proves that old school and new school can sometimes merge to become one. Blouses have never been "trendy" because they are so versatile and flattering that they are a staple in any woman's wardrobe. They can be worn with skirts to dress them up or jeans and heels to dress them down and still look classy. 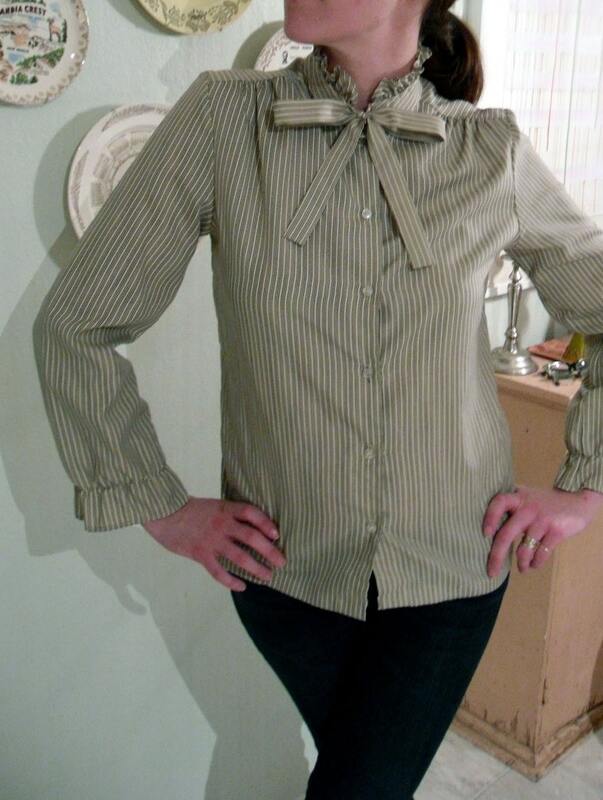 This beige button-down from Recovered Vintage has a ruffled collar that ties closed in a bow for extra sophistication and loveliness. I found two items from PomPom Vintage that I found simply wonderful, so I could not choose which one to post and decided to offer a glimpse at both. The velvet dress is fantastic for dressy occasions that require you to look lovely while also showing off a bit of youth and maintaining comfort. 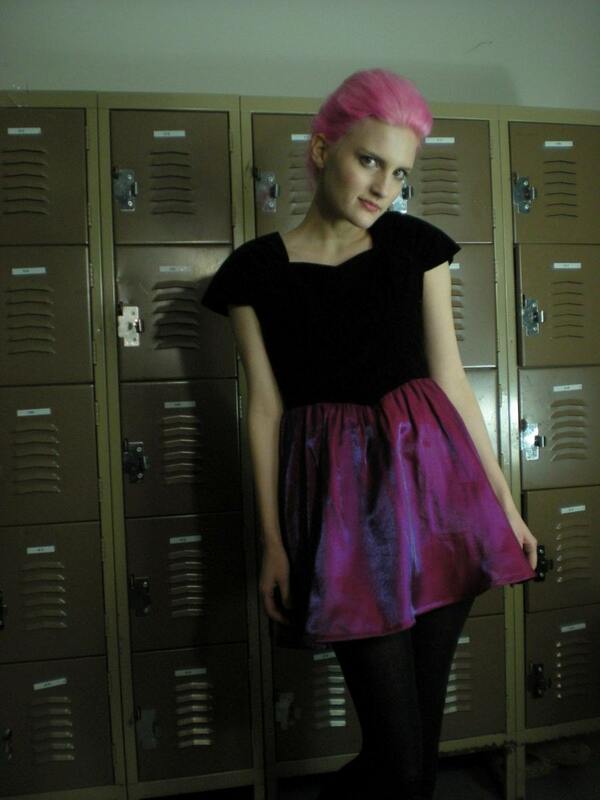 In the second photo, the retro miniskirt screams "Zooey", so I had no choice but to share that item with you, as well! 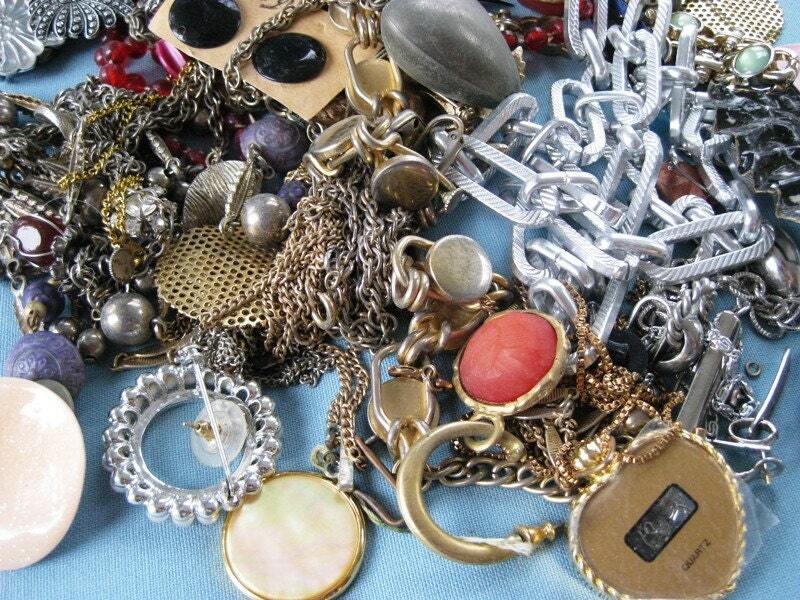 Rework and recreate with this jewelry jumble! As if vintage wasn't great enough as is, you can use this bundle to "make it new", as Ezra Pound would say. These goodies are available at Shihtzuwest. 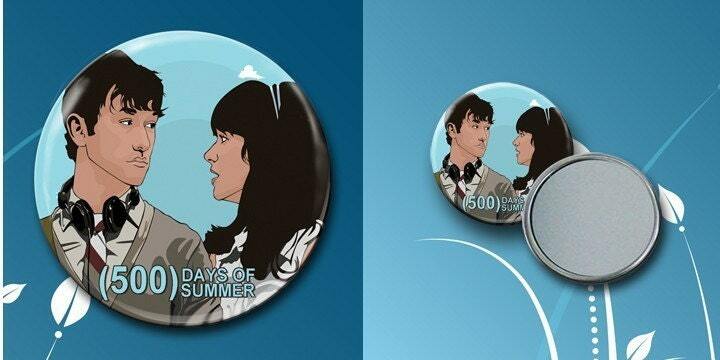 Cute, fun, and great for a fanatic, this pocket mirror will allow you to take a quick peak at yourself and at the cutest failed couple in movie history. This item is offered by Nightmare Shadow Box. 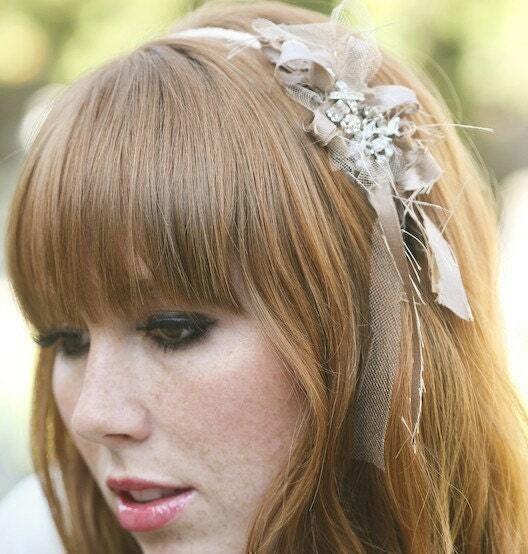 Be Something New is so full of pretty hairpieces that I had a hard time choosing what I'd like to post. It is easy to see why I chose these as Zooey-inspired items. 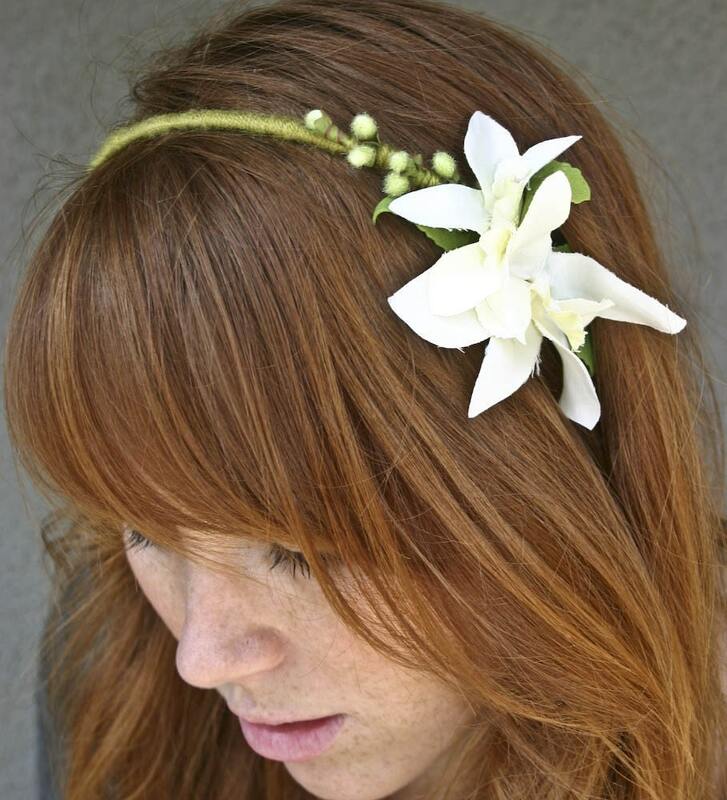 She'd wear any one of these beautiful accessories! I am now in a shopping mood after seeing all of these beautiful items. Maybe I will head out and see what I can salvage from the local thrift.